This entry was posted in Events on March 10, 2015 by Christopher Silsby. Break A Leg Productions presents a staged reading of the new Einstein play TRANSCENDENCE: Relativity and Its Discontents by the playwright and science historian Robert Marc Friedman as part of the program on Science & the Arts and the CUNY Academy for the Humanities and Sciences at the Graduate Center of the City University of New York. Date, time and location: April 14, 2015 at 6:30 PM, Science Center, Room 4102, The Graduate Center of CUNY, 365 Fifth Avenue, Manhattan. First come, first seated. Monday, April 20, 2015, 6:30 p.m. The play TRANSCENDENCE: Relativity and Its Discontents explores aspects of Einstein’s life and his general theory of relativity at the time of the theory’s creation and initial reception. While being faithful to historical scholarship, the play creates its own theatrical reality aiming to engage emotions and intellect. Those who strive for transcendence must nevertheless also confront the harsh realities of living in specific time-bound social contexts. Universal constants that anchor physical theory in an objective reality, as Einstein believed, do not readily have equivalents in notions of identity, duty, loyalty, and excellence. 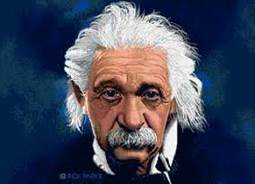 In November 1915 after toiling for years in Zurich, Prague, and now Berlin, Einstein achieved his general theory of relativity. When in 1919 British astronomers announced evidence for the bending of starlight by the sun as Einstein had predicted, he soon surprisingly found himself an international celebrity. Expectations arose that he would be called to Stockholm. But the Nobel Committee for Physics refused to acknowledge “speculations” such as Einstein’s. The dismissal of relativity entailed principled and biased opposition, and not simply mistakes in evaluation. Several committee members agreed that Einstein must not receive a Nobel Prize. After the performance, the playwright, director and actors will be available for a talk-back audience discussion.